SkyCiv Wind Speed software is a 100% cloud based program, used to calculate the wind speeds and pressures by location. There are a number of versions of the software to account for free/paid users and also has an API for added functionality. 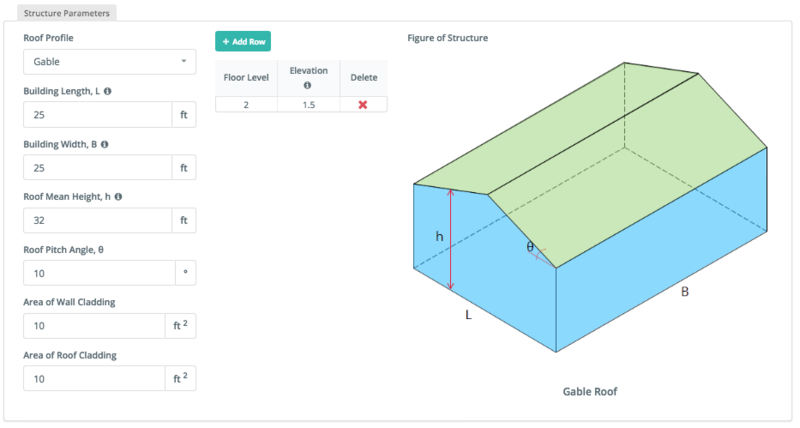 In this guide we will take a look at an ASCE 7 10 wind load calculation example to calculate the wind speeds and pressures for a gable roof, enclosed building. 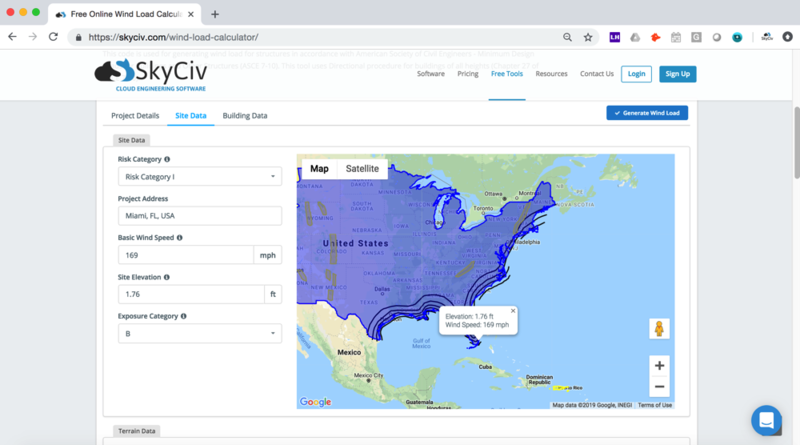 For ASCE 7-10 wind loads, SkyCiv has digitilized the map as per the paperback standard. This means, you can simply enter in the site location and the software will automatically pull the wind speeds based on this input. There is a limit to how many times the wind speed can be calculated on the free tool. 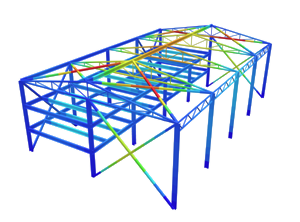 The software will use our internal interpolator to calculate values between the contours, to ensure accurate wind speeds are used in your designs. 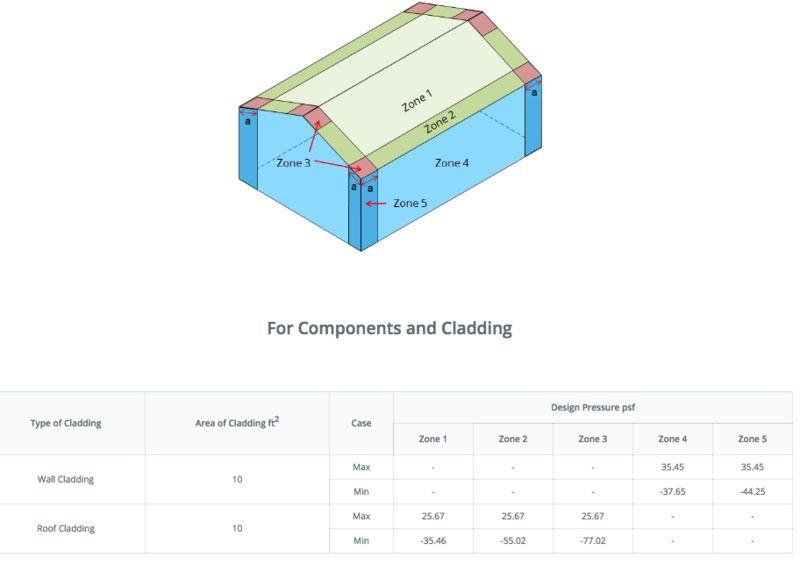 Results for cladding have been provided with a graphical guide to clearly show the locations and magnitudes of pressures to be applied as per ASCE 7 10 wind design requirements. The below table is an example of these calculation results, showing the cases, pressures and locations of the wind forces.